i love every word of this and agree with her. I know right? 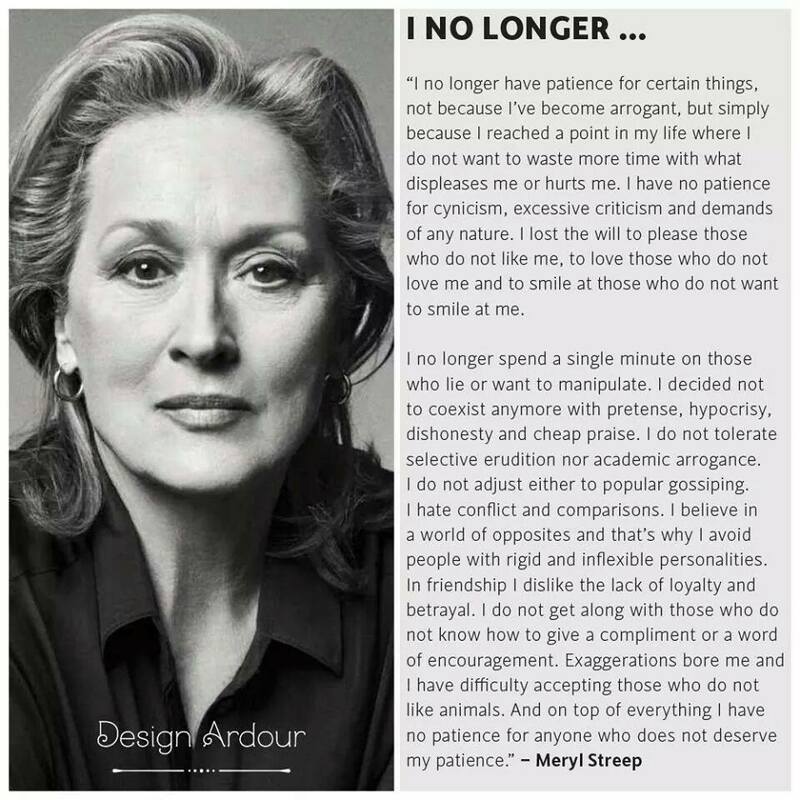 Now that I’m older I am so with her on this … Wish I would have seen this in my early 30s. Duuuuuude would have been way ahead of the game. I totally agree. It’s as if she got inside my head! Ha! She had me at hello … She is so amazingly awesome and I LOVED this so much I had to share the wisdom out to the fellow ladies. Spreading the Streep love of self. She’s so awesome … She went up to 100 notches on the amazing meter just based on this quote. I LOVE it! Esta mujer sheeeeeesh! She’s better at preaching than Walter Mercado! Y con mucho mucho amor! LOVE this quote! Oh! Isn’t she amazing? She deserves all the awards. Most definitely. There’s something good about getting older, it frees your mind for the things that really matter! Verdad! Dude I wish I would have known earlier I’d have less gray hair 🙂 good to see you chica.